We are excited to kick off our Wild Roots Workshops for tweens and teenagers (ages 10-14). Join us as we connect with new friends and Mother Earth through nature art projects, yoga, herbal crafts and soulful activities to empower older kids to uncover their unique gifts, find tools to center themselves when life gets wild and shine out their bright light into the world. Our pilot Wild Heart Teen camp will be this August at the Wild Roots Art Barn. These camps will be limited to 15 children. 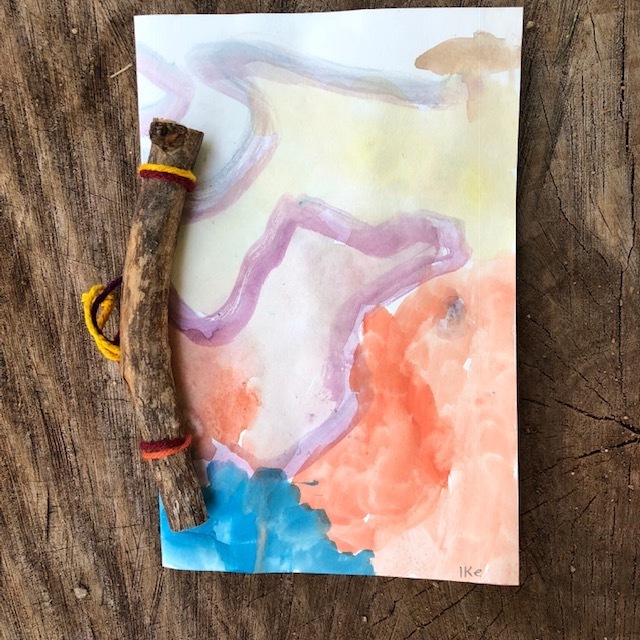 Meaningful Nature Art Crafts: Earth art crafts are a lovely vehicle for re-connecting us back to nature and our innate wildness. In each project we will find ways to weave sustainability lessons and/or self-exploration activities to give each creation a soulful meaning and purpose. Some examples of crafts include creating dream catchers, medicine bags, feather wands, journey sticks, botanical dyes, earth looms and leather crafts (and much more!). Yoga & Mindfulness – Take part in yoga lessons and learn mindfulness activities. Lessons may include learning about chakras, journaling, guided meditations, dreaming, gratitude practices and mysticism. Earth Honoring Activities: Take part in activities and lesson where we learn ways we can support and take care of our beautiful planet Earth. For instance, we might pick up trash in a natural area, learn about our local watershed or create crafts that help to minimize our footprint (for example: beeswax sandwich wrappers, solar oven or reusable cups). Herbalism: Learn about Northern Colorado medicinal plants and create botanical crafts. Some possible herbal crafts may include: lip balm, salves, infused honey, smudge sticks, flower essences, and herbal teas. Earth Skills: Learn earth skills like hiking, wild foods cooking, shelter building, wild plant identification and animal tracking. Community Building: Take part in community building activities like building community nature mandalas, storytelling, council, nature connection games, community service and leadership projects. These programs are open to both girls and boys. Activities are not associated with a singular path or religion, but rather, an inclusive coming together with children all coming from all paths and a honoring our similarities and differences. These classes will offers a place of support, kindness and always,the free choice as to participate and when we prefer to observe. Once Saturday per month we will meet from September - May. Join us on Instagram and Facebook!